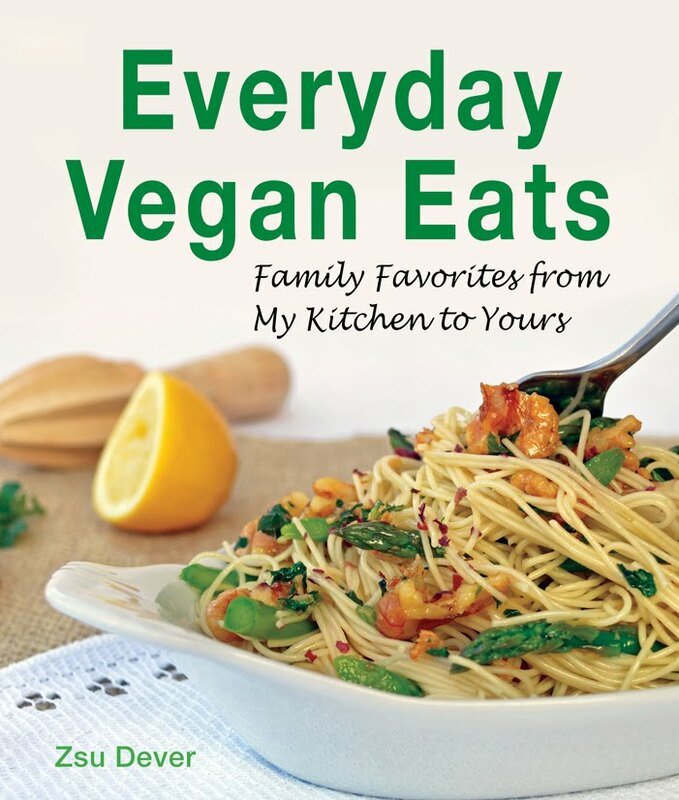 Everyday Vegan Eats has been out for about a week now and I hope you have seen the recipes from the cookbook floating around the web. Don't forget to enter the giveaways for the book on Tami Noyes' site and Robin Robertson's site before they end today. 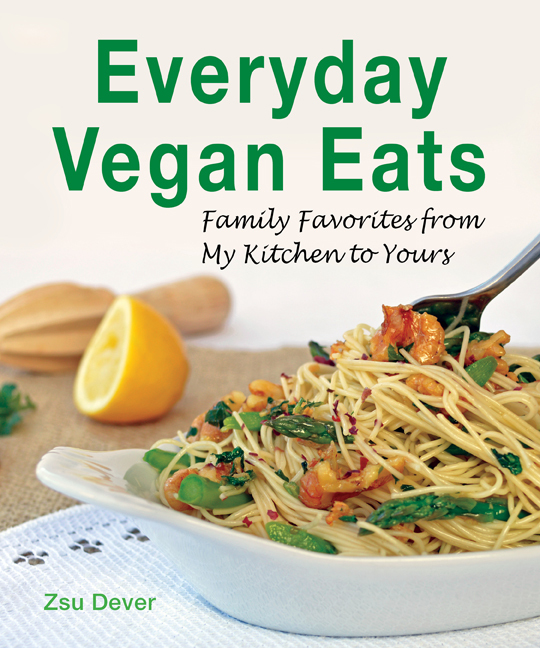 Since the book is hopefully in a few hands by now, I'd like to post a few recipes that didn't get into the book. 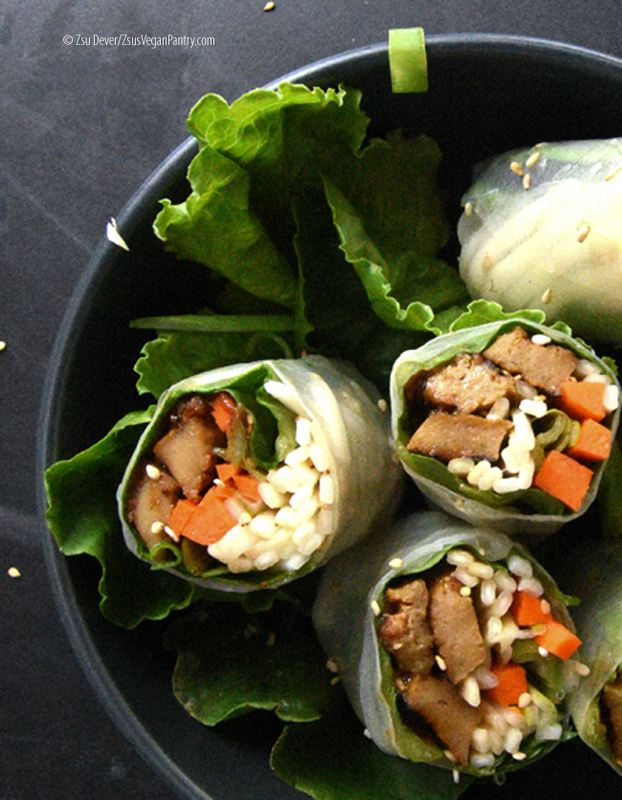 These recipes are important in the sense that having the ability to make them at home is not just beneficial economically, but also gives us the chance to make these basic recipes ourselves, controlling the quality as well as the ingredients. I speak of dairy substitutes: soy yogurt, vegan sour cream and vegan cream cheese. While developing recipes for EVE, I realized how important it is to be able to make these basics ourselves, in case they are hard to attain or, just simply, are more desirable as homemade products. I did a lot of research regarding the dairy equivalents of yogurt, sour cream and cream cheese and had a few epiphanies. From these revelations I realized that I could make a really excellent vegan sour cream and vegan cream cheese using vegan yogurt. The only catch is that homemade yogurt is the best. There are a few commercial vegan yogurts on the market, but the only one I would recommend is the Whole Soy brand, in terms of texture and flavor. 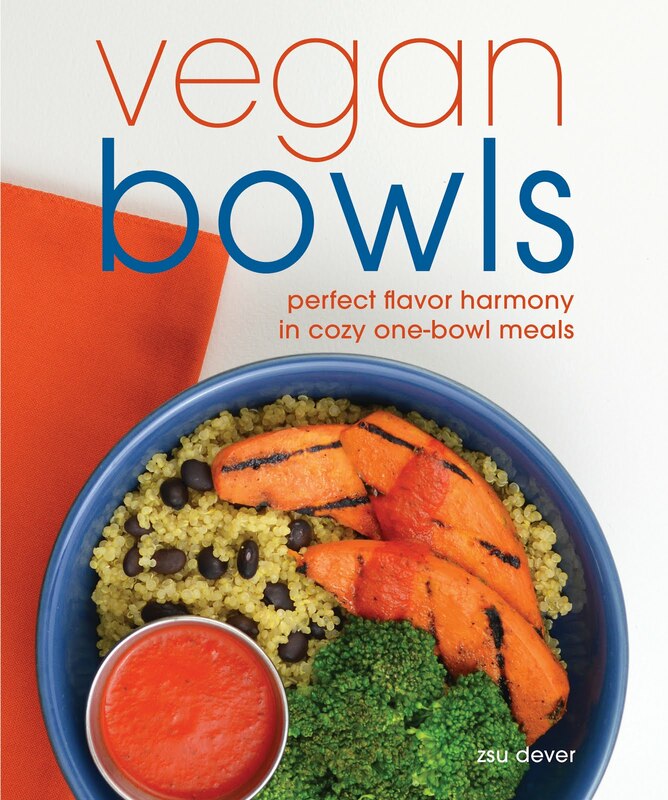 Since Whole Soy has just returned to the market, I haven't had the chance to test the sour cream and cream cheese recipes using Whole Soy yogurt, but I did have the chance to try my recipes using the other brands on the market, unfortunately, with dismal results. Another issue regarding store-bought yogurt, beside flavor and texture, is the difficulty in finding a brand of plain vegan yogurt that is unsweetened. That is the best kind to use in savory dishes and since good brands are few and far between, homemade is your best bet. Conclusively, the best vegan yogurt is one you make yourself. The good news is that it is easy! All you need is soy milk with sugar content of 6 grams (this is the optimal sugar content to help feed the live cultures) and a small container of plain yogurt from the store. Any brand will do as long as it contains live cultures: almond, coconut or soy, it matters not. After you make your first batch of yogurt you will make any subsequent homemade yogurt using your own homemade yogurt to start a new batch. In addition, yogurt you make using your own yogurt will get better and better with every batch! Transfer your milk to a large pot. Bring the milk to a boil over medium heat. 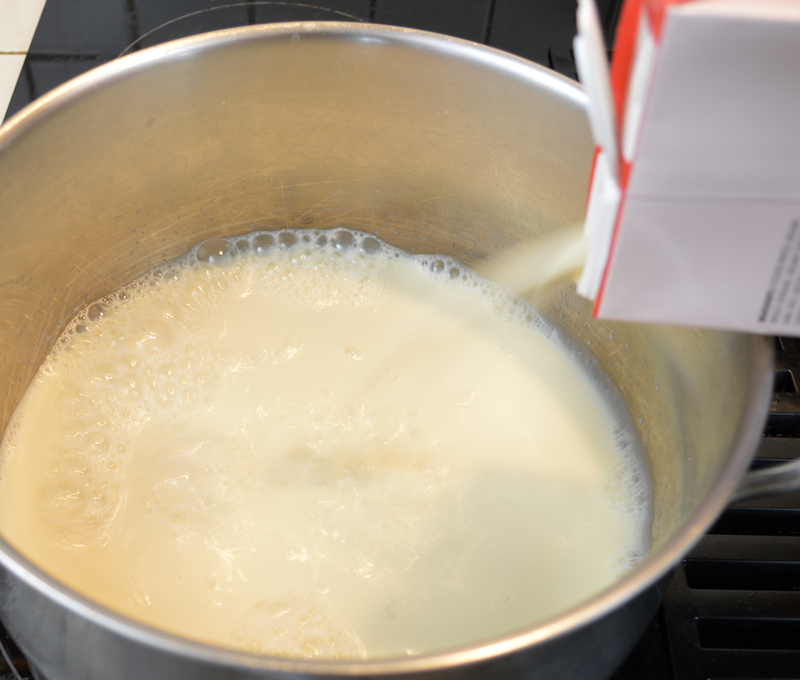 Boil the milk for two minutes and remove from the heat. Cool the milk to about 110-degrees F, but no more than 112-degrees or less than 100-degrees. Cooling the milk will take about 15 minutes. 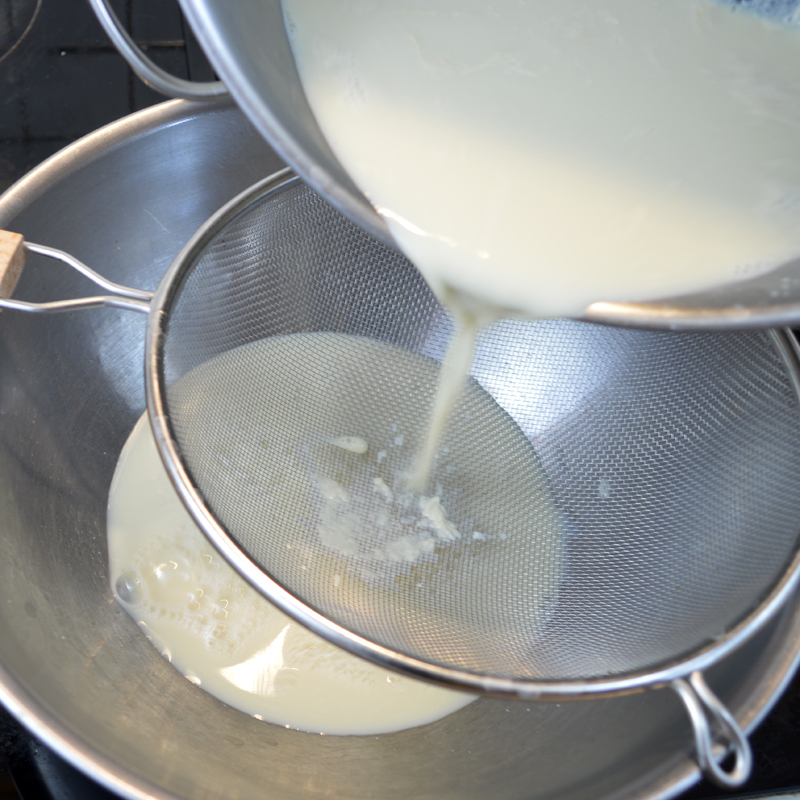 Strain the cooled milk through a fine-mesh strainer into a bowl. This step will produce a smooth final yogurt, removing any soy milk skin that developed as the milk cooled. 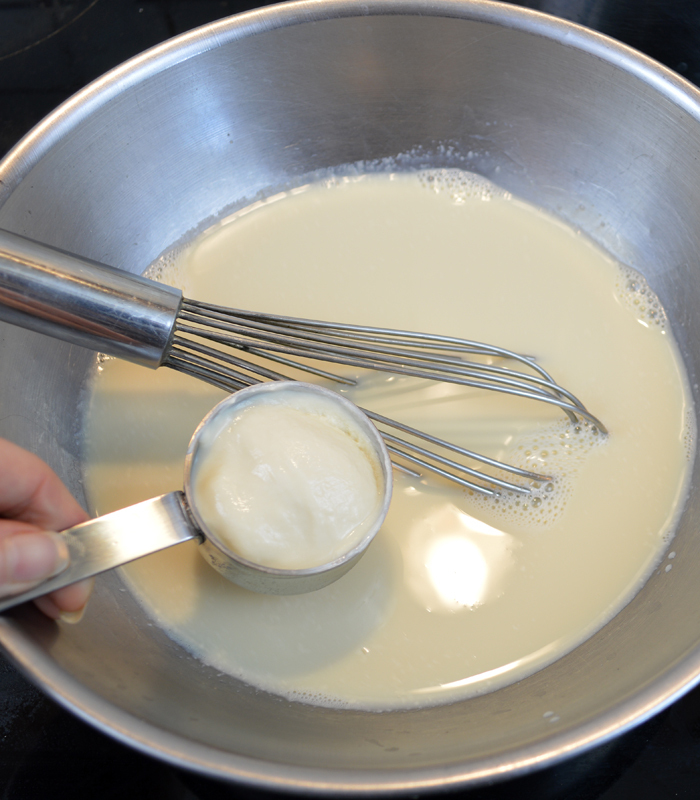 Whisk in the 1/4-cup yogurt and cover the bowl with a plastic wrap. 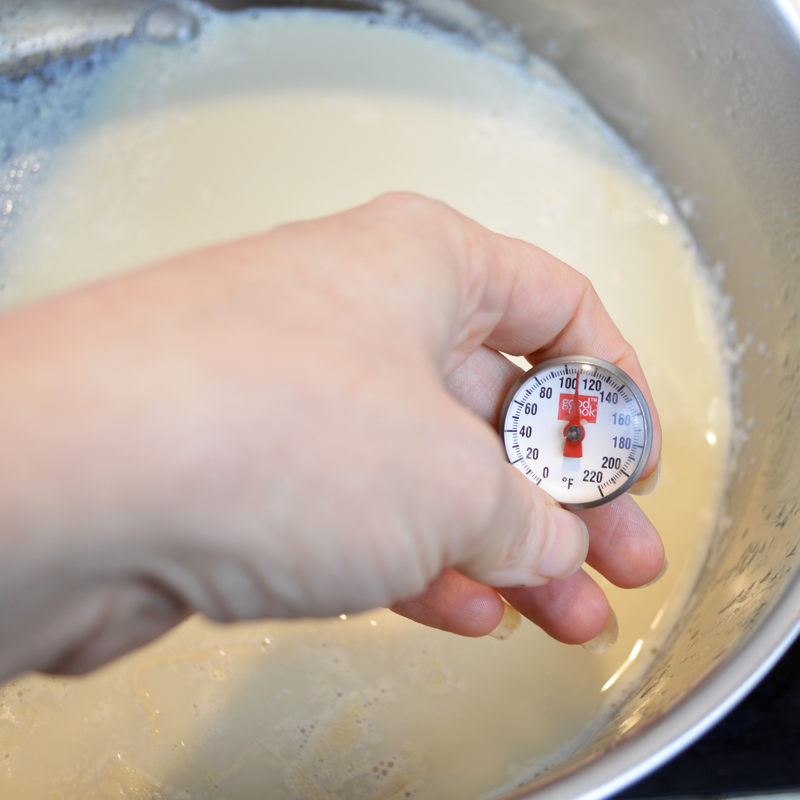 Place the bowl in a warm spot, one that will keep the inoculated milk at a steady 110-degrees F for 9 hours. 6 hours. [I found 9 hours made the yogurt too tangy - start checking it at 6 hours and see if you'd like more tang.] A dehydrator or the Instant Pot 7-in-1 (which you can use to prepare it from start to finish0 works beautifully. Check out some other warm spots at the end of the post. After 6 hours your yogurt will look like this. 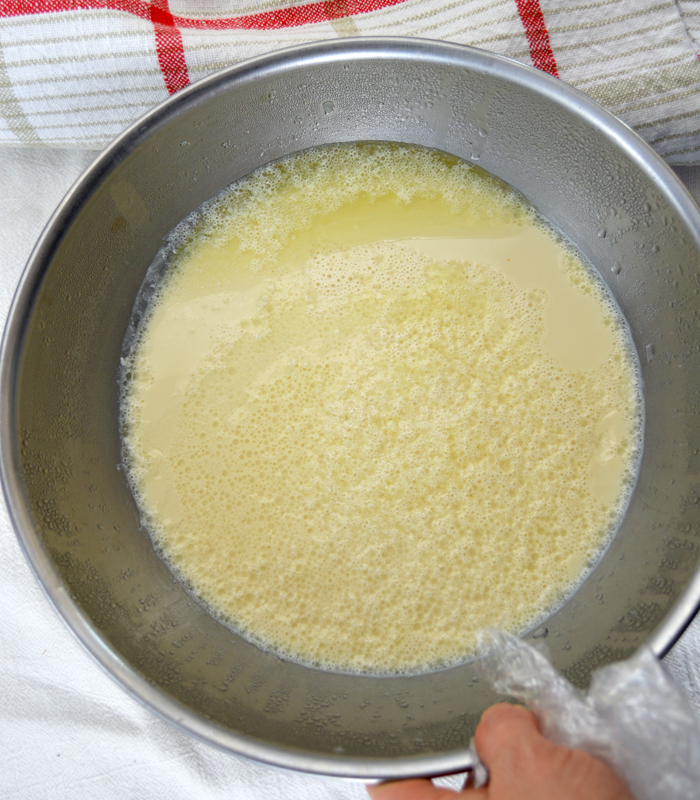 If you tip the bowl you can see the whey and the curds separate somewhat. You will be able to make thicker yogurt when you begin using your own homemade yogurt for the culture. Transfer the yogurt to a container and cool the yogurt in the refrigerator. The chilling will thicken the yogurt a bit more. Chill for at least a few hours. When chilled, remove 1/4 cup of the yogurt and set aside to culture your next yogurt. 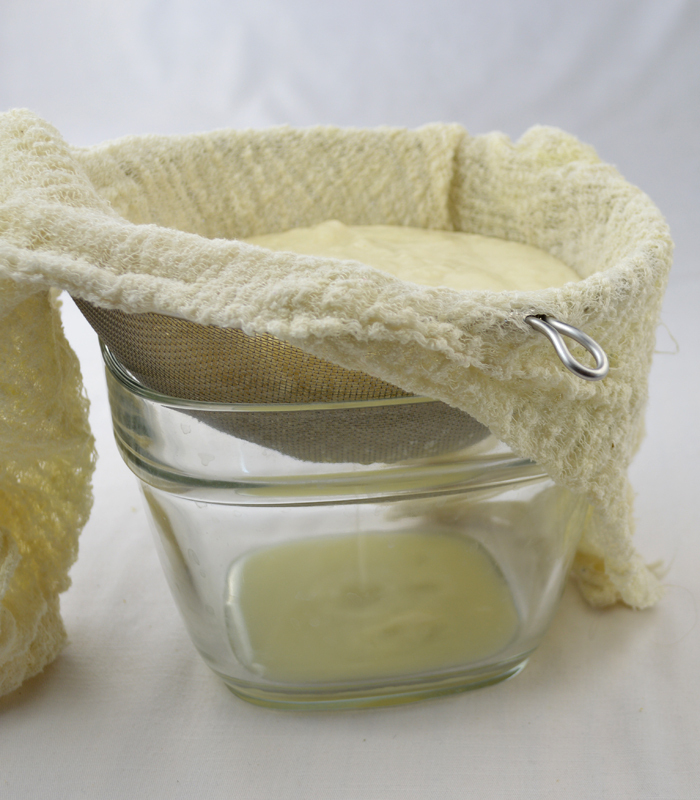 Drain the yogurt for 20 minutes through 8 layers of cheesecloth or a nut milk bag by transferring all of the yogurt to the cheesecloth or nut milk bag. Place the nut bag over a strainer and the strainer over a bowl. There you have it. Homemade soy yogurt. Whisk the yogurt using a whisk before storing in the fridge to use as needed. 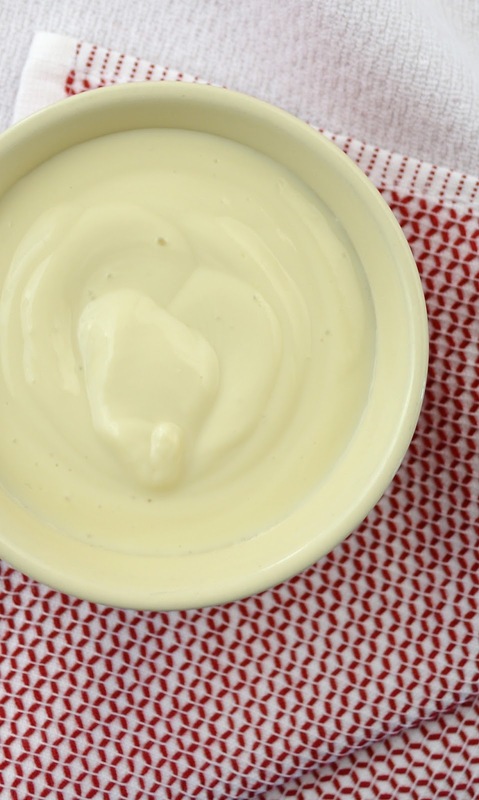 You will need homemade yogurt to make vegan sour cream and vegan cream cheese. Those posts will be coming in the following weeks. 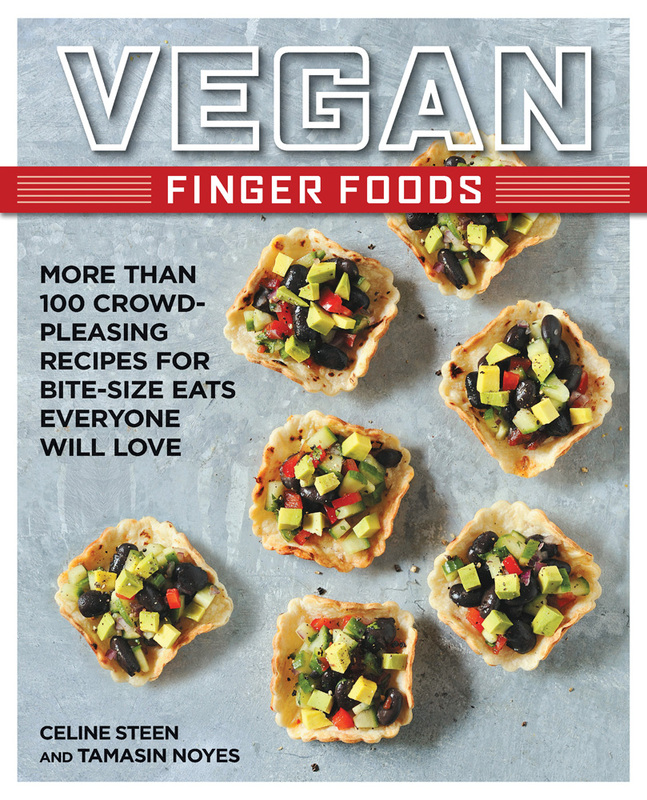 As a gentle reminder, the giveaway for Tamasin Noyes' and Celine Steen's new cookbook, Vegan Finger Foods, will be ending May 29, so make sure you have entered HERE. Yogurt incubates best at 110-degrees. If all else fails, get a yogurt maker. ~ A yogurt maker! ~ Dehydrator set to 110-degrees. 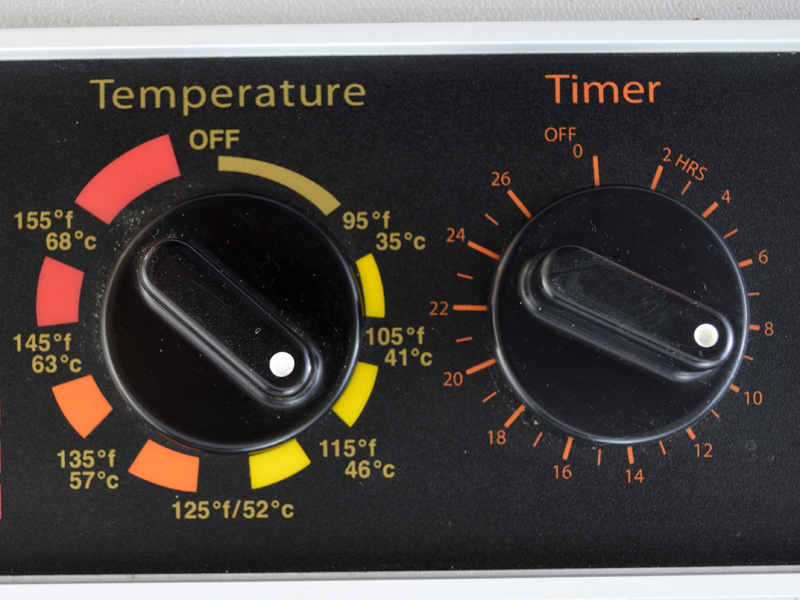 ~ Oven that maintains a 110-degrees with the aid of a pilot light and oven light. ~ Oven that maintains a 110-degrees with the aid of 2 tea candles. Light 2 new tea candles after 4 hours. ~ Place an electric heating pad set to medium between two bath towels on the counter; place the bowl on the towel and wrap another bath towel over the bowl to make a warm nest. ~ Transfer the yogurt to 2 (1-quart) jars; place jars in 3-inches of hot water in an ice chest; reheat the water as needed. If any of these warm places are less than 110-degrees, the incubation will take longer, about 1 to 2 hours more. Do not let the yogurt incubate for longer than 10 hours, though; it begins to develop a yeasty flavor. With the quantity to use for next time, how long will it last in the fridge? Can you freeze it? The yogurt (including the amount reserved for culturing your next batch) lasts about 1 week in the fridge. I think I've had it for 2, but to be on the safe side 1 week. Freezing: Good question! I'll go test it out. I'll report back in about 3 days, giving the yogurt time to freeze, thaw and culture a new batch, should it work. Logically, I'd say it would kill the culture. 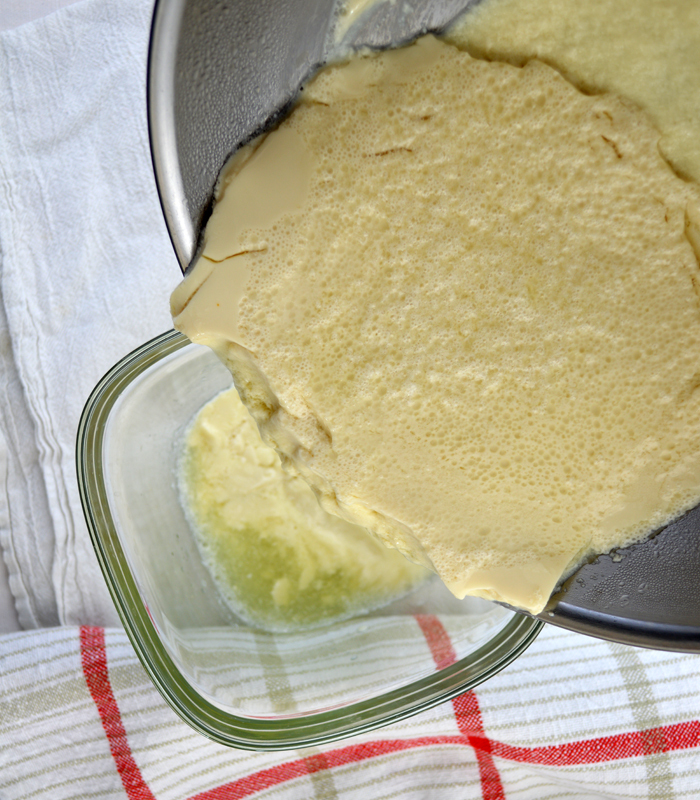 Dry active yeast survives freezing (and I recommend freezing dry active yeast to extend the life of the product) but dry active yeast is surrounded by a protective layer, which could help it survive freezing. I'll get back to this comment in a few days, Karen. Thank you! Karen, I just successfully made a batch of yogurt using previously frozen yogurt. It's a go! It works; you can freeze yogurt, thaw it and make a new batch of yogurt with it. Hope this helps! The soymilk I buy has only 1 gram of sugar. It's Westsoy unsweetened organic ( only water & soybeans). Would it still work? Could I add a sweetener if needed? 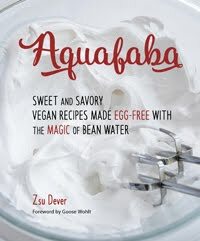 Jacqui, if using unsweetened soymilk (such as one with 1 gram of sugar), you will need to add about 2 teaspoons of sweetener. I've made the yogurt using the Westsoy brand and adding the sugar (maple syrup, granulated, brown) does the trick. The sugar will be eaten by the bacteria so the yogurt will still be "unsweetened." Thank you for visiting and asking! 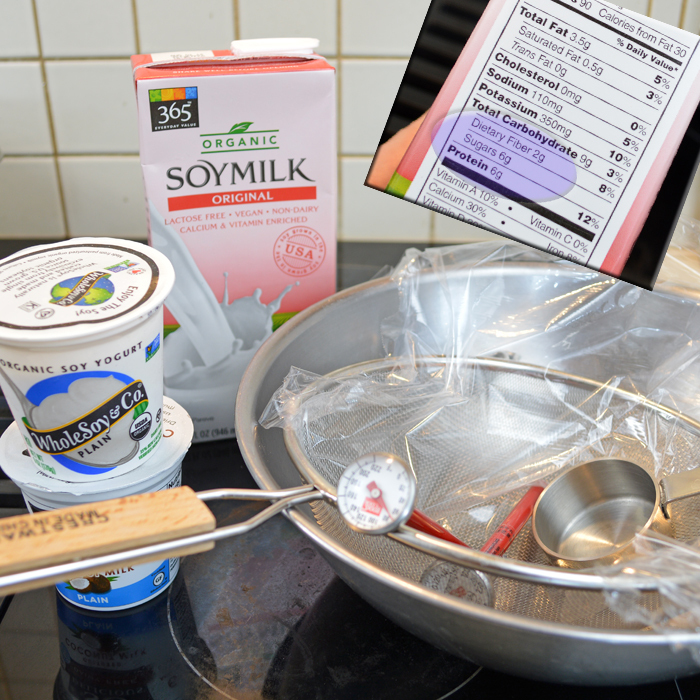 I've always been REALLY nervous to try making my own Soy Yogurt! This step-by-step was helpful! Thanks so much! Thanks, Jennifer! Hope you get the chance to make it. It's easy with a dehydrator. My favorite pic is of the temp and timer! We used to get an unsweetened plain yogurt but can't find it anymore. Thank you for the step by step pics. This looks like fun. Ammmazing recipe. I love soy yogurt but never try at home. Now i can do this. 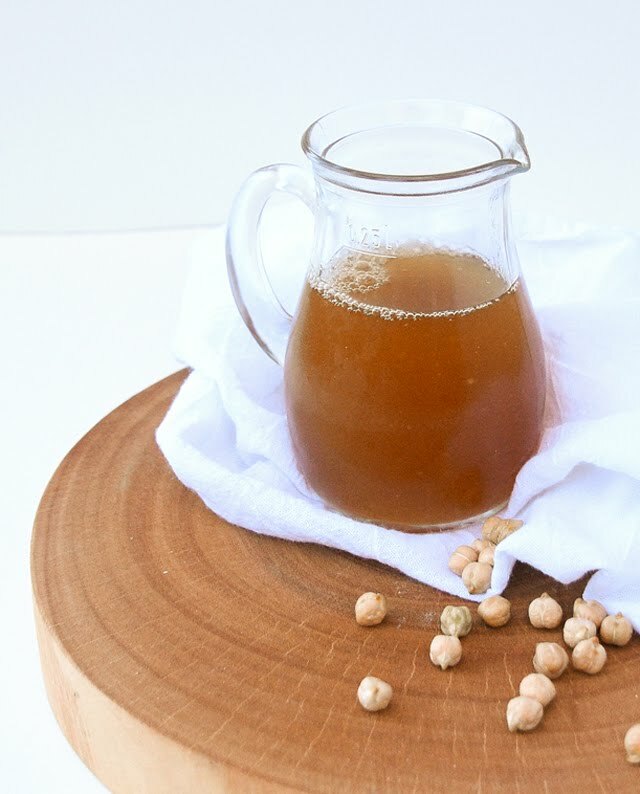 Have you tried this with almond milk? Yes, but it has to be a very strong homemade almond milk because commercial almond milk has virtually no protein. It is the protein content that helps the cultures develop.